group.id: A unique string that identifies the consumer group this consumer belongs to. client.id: The client id is a user-specified string sent in each request to help trace calls. It should logically identify the application making the request. bootstrap.servers: A list of host/port pairs to use for establishing the initial connection to the Kafka cluster. key.deserializer: Deserializer class for key that implements the org.apache.kafka.common.serialization.Deserializer interface. value.deserializer: Deserializer class for value that implements the org.apache.kafka.common.serialization.Deserializer interface. fetch.min.bytes: The minimum amount of data the server should return for a fetch request. If insufficient data is available the request will wait for that much data to accumulate before answering the request. fetch.max.bytes: The maximum amount of data the server should return for a fetch request. max.partition.fetch.bytes: The maximum amount of data per-partition the server will return. max.poll.records: The maximum number of records returned in a single call to poll(). heartbeat.interval.ms: The expected time between heartbeats to the consumer coordinator when using Kafka’s group management facilities. session.timeout.ms: The timeout used to detect consumer failures when using Kafka’s group management facility. enable.auto.commit: If true the consumer’s offset will be periodically committed in the background. Parse a log file and dump its contents to the console, useful for debugging a seemingly corrupt log segment. 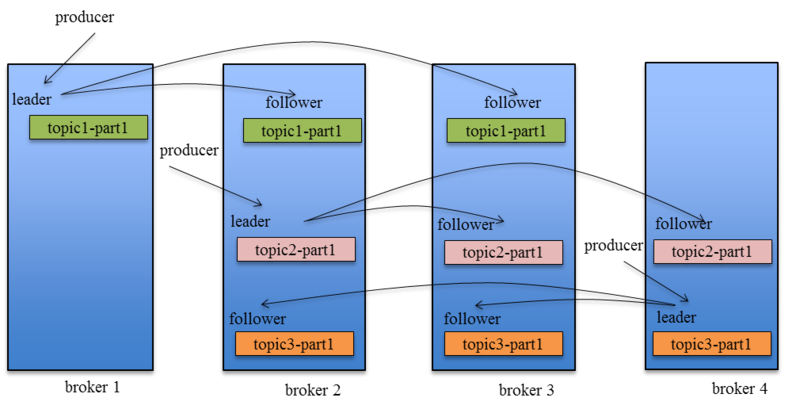 Class KafkaConsumer<K,V> Kafka allows specifying the position using seek(TopicPartition, long) to specify the new position. Special methods for seeking to the earliest and latest offset the server maintains are also available ( seekToBeginning(TopicPartition…) and seekToEnd(TopicPartition…) respectively). Kafka Offset Monitor: A little app to monitor the progress of kafka consumers and their lag wrt the queue. # just delete segments after their retention expires. # can then be marked for log compaction.